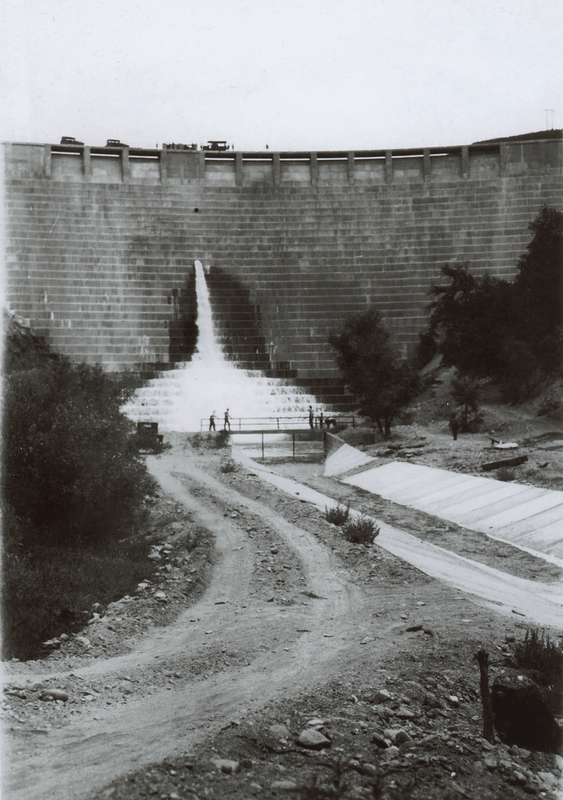 SCVHistory.com LW2986 | St. Francis Dam Disaster | People Stand on Footbridge Over Forebay, 1926-1928. 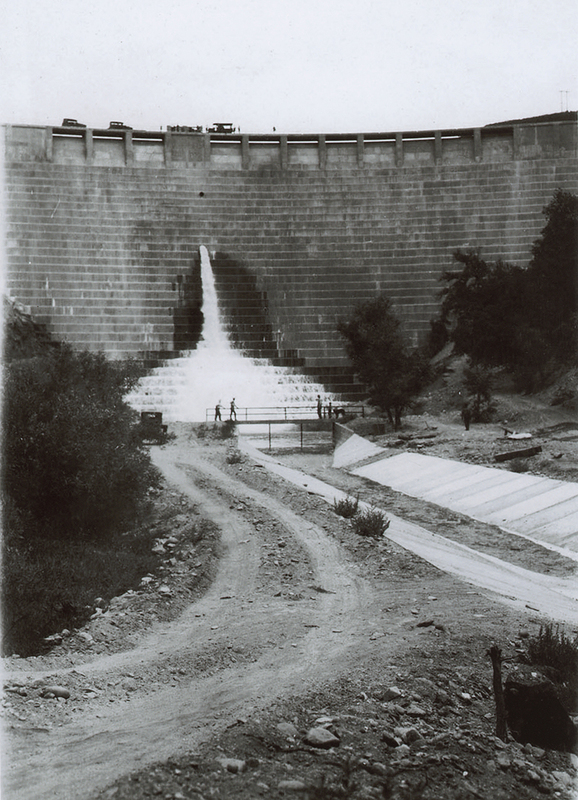 People stand on the footbridge over the forebay in front of the completed St. Francis Dam, 1926-1928. LW2986: 9600 dpi jpeg from copy print purchased 2017 by Leon Worden.